« MS Offers 20% Off on MCSA Win8 … and More! I love finding surveys, stats, and wish lists related to IT jobs and certifications. They’re always interesting, they often have useful things to say, and there’s always a catch (or two) involved in interpreting their proclamations. 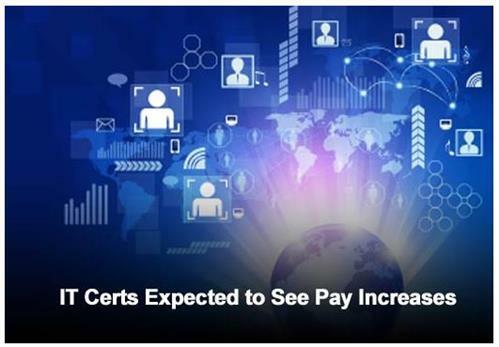 The ITBusinessEdge slideshow entitled “Twenty IT Certifications Project to Make Pay Gains in 2014” is no exception. It’s based on Foote Partners Q4 Update to its 2013 Skills Demand and Pay Trends Report (which is actually based on results for Q3 2013, and covers 348 noncertified IT skills along with 293 IT certifications). The big takeaways from that report were that (a) average page for noncertified IT skills increased by a niggling 0.4% that quarter, up by 1.8% over the previous year, and (b) that average pay for IT certifications were up by 1.5%, the biggest jump since 2005, and the first time since 2006 there had been two consecutive positive quarters in this area. The lead-in slide from the ITBusinessEdge story sets a somewhat breathless tone for the 20-cert lineup that follows. 1. Two of the credentials mentioned are no longer available, and thus useful and meaningful only to those who’ve already earned them. This shows only the lag between what people have accomplished and what still lies ahead. 2. Information security, aka infosec, remains a pretty strong expertise card to play, with 6 directly related credentials under that heading, and several others including partial or tangential coverage of infosec as well. 3. High level certifications — those with Master, Expert, and Architect in their labels — account for half of the 20 credentials included. These are high- or pinnacle-level certs, and reflect high seniority, serious skills and knowledge, and valuable experience. Such people are at the top end of the salary scale, so of course their raises are going to be big, along with everything else about their positions. But there are relatively few such individuals in the overall IT population (I’m guessing less than 5% for sure, and possibly less than 2%). That’s why I always recommend taking surveys like this one with a healthy dose of skepticism, and suggest they’re best used to show trends and possibilities, rather than to provide detailed career guidance (except, perhaps, for those already en route to some of the pinnacle or high-level certs mentioned in the preceding table). Buy this information remains interesting and informative nevertheless.